Looking to ride from town, on your own time, and at your own pace? Rent a bike by the hour, or the day, pick it up and leave anytime you wish. Not sure how long you will be out? Don’t worry, we will cap the rate at the full day price. Please book a full day rental to save your bikes, and if you only want them for a couple hours, that’s all we will charge. Includes: Helmet, Bike Lock, Handlebar Bag, and Map. 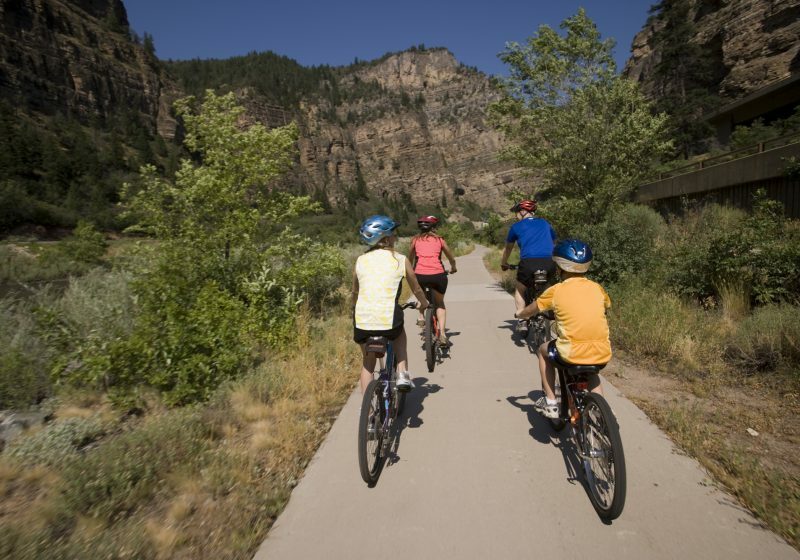 If interested in our free shuttle service, check out our Bike Rental & Glenwood Canyon Shuttle or Bike Rental & Rio Grand Shuttle activities.